Elon Musk is one of the most important people on the face of Earth who has completely changed the way we travel, disrupting the stagnant automobile and space industry. On the Forbes list of Most Powerful People this year, he was placed 25th, having an estimated net worth of about $22.4 Billion as of now. He is not an unknown figure in the technological industry either, having developed an autonomous driving system and building the worlds biggest reusable rocket, working non-stop on both at the same time. Tesla is known to be one of the frontiers when it comes to automation, yet Musk's fears that AI might one day take over humanity. His stance on AI has always been firm, calling AI humanity's "biggest existential threat" and even went on to compare it to "summoning the demon himself" at MIT, back in 2014. In a recent interview published on Friday with Recode's Kara Swisher, he said, "As AI gets probably much smarter than humans, the relative intelligence ratio is probably similar to that between a person and a cat, maybe bigger. I do think we need to be very careful about the advancement of AI." Not only Musk, but machine learning researchers have also sounded the alarm. Although in some areas, such as self-driving cars, AI cannot surpass humans as of now, they, most of the times, tend to exceed the human brain capacity no matter what we throw at them. My recommendation for the longest time has been consistent. I think we ought to have a government committee that starts off with insight, gaining insight. Spends a year or two gaining insight about AI or other technologies that are maybe dangerous, but especially AI. And then, based on that insight, comes up with rules in consultation with industry that give the highest probability for a safe advent of AI. You think that — do you see that happening? No, to the best of my knowledge, this is not occurring. Do you think that Google and Facebook continue to have too much power in this? That’s why you started OpenAI and other things. Yeah, OpenAI was about the democratization of AI power. So that’s why OpenAI was created as a nonprofit foundation, to ensure that AI power ... or to reduce the probability that AI power would be monopolized. There is a very strong concentration of AI power, and especially at Google/DeepMind. And I have very high regard for Larry Page and Demis Hassabis, but I do think that there’s value to some independent oversight. He seems particularly concerned about the advancements in AI when it comes to Google's Deep Mind, the organization responsible for the development of AlphaGo and AlphaZero. The day may not be far when AI might surpass the human ability in every sense. 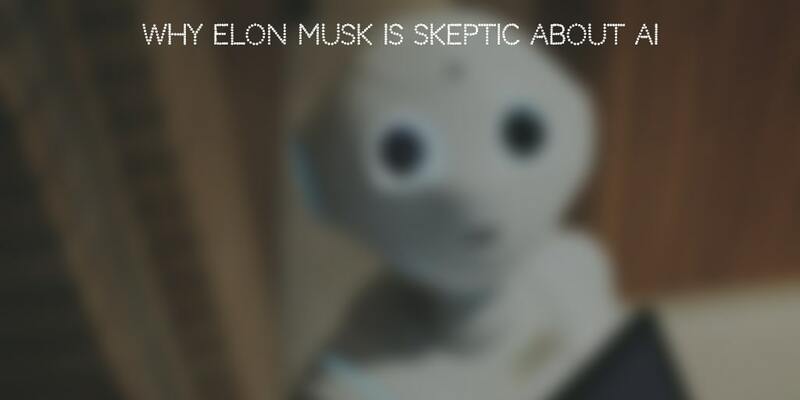 Read the full interview with Musk here.